November 21 to 23, 2012 saw a great change in energy security and energy independence to all the EAR countries. 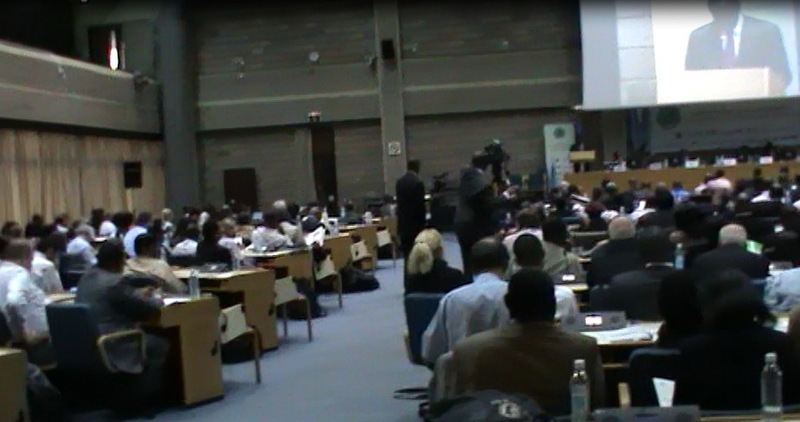 The African Rift Geothermal Conference ( ARGeo) held in UN Gigiri Complex, Nairobi, brought together the energy ministers of all the East African Rift countries together. The main focus is to develop > 7000 MWe ( Geothermal Energy Agency estimate) of geothermal lying untapped in the rift valley by 2030 and make Kenya energy surplus and energy independent . This is going to change the life and socio-economic status of the entire East African Countries starved of electric power. ARGeo Project was founded in 2003 to develop the untapped geothermal energy potential in the Eastern Africa region, extending from Djibouti to Tanzania. The ARGeo Project’s objective is to promote geothermal energy development and utilization. The project is funded by the Global Environment Facility (GEF). Speaking at the conference, Hble. Energy Minister of Kenya Kiraitu Murungai, said that Kenya is committed to exploit its large untapped geothermal energy and expects to enhance the power generation from the present 200 MWe to 5000 MWe by 2030 and bring in power to all the rural areas of Kenya and neighbouring countries. Though some think this is a wish list, but in reality Kenya has such energy mine lying untapped. Being in a rift valley that is active with a high heat flow and geothermal gradient, more than that mentioned above is available along the entire rift geothermal province extending from Djibouti to Tanzania. 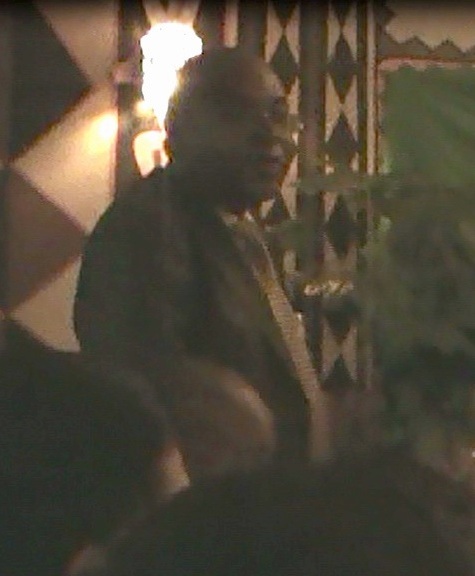 The MD and CEO of GDC, Dr Silas Simiyu, speaking during his welcome address at the dinner hosted by GDC at “The Carnivore” said that GDC is keen in bringing in several international partners to develop the geothermal sector on Kenya rather than a single partner. This is a good and strategic initiative taken by GDC to foster competition and transparency and play down monopoly by a few developers and investors. The Kenyan geothermal energy potential is distributed in 14 sites that have been already identified (ready for tender) and is expecting a apital investment of US$ 18 billion. With this initiative geothermal power contribution in Kenya;s electricity will increase to 30% from the present 13%. 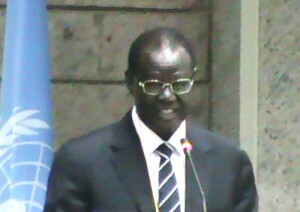 Mr Kiraitu Murungai is quick in his words and thoughts and deeds. Kenyan Ambassador to US, Mr Elkhana Odembo has been invited to give a key note address at the prestigious forthcoming International Geothermal Energy Finance Forum in April 2013. Now new era has emerged in Kenya’s power scenario with World Bank stepping in to bring in financial aid from financial sector to develop geothermal. According to a report US$ 166 million Partial Risk Guarantees in place to develop geothermal. International Finance Corporation is lending long term debt for geothermal. With this future expansion plan, Kenya will have surplus electricity and will be in a position to support other neighbouring states like Uganda and Tanzania until these countries will be in a position to exploit its EGS resources in future from high heat generating granites like the Singo granite. A rough estimate shows that 1 sq.km granites of this category are capable of 24464 x 1012 kWh of electricity. African countries are in a position to become energy independent compared to other Asian countries by tapping its geothermal resources and become a leader in implementing CO2 mitigation and CDM strategies. Although Kenyans society like to have a high quality life through continuous electricity supply, the per capita electricity consumption of Kenya is only 121 kWr while other African countries like the South Africa has a very high per capita electricity consumption ( ~4500 kWr). 29% of rural population in Kenya get electricity and the electricity connection growth rate is about 15%. This rate is very high compared to its neighbouring country, Ethiopia, where the electricity connection growth rate is about 4% even though Ethiopia has geothermal potential equal to that of Kenya. All this is happening due to change in Government’s policy with regard to energy sector. Kenya’s energy sector was restructured following country’s energy act of 2006 that brings more players on board. The Ministry of Energy is responsible for policy and overall guidance of the sector. The Energy Regulatory Commission (ERC) looks after all regulatory functions like energy planning, tariff setting and monitoring and enforcement of regulations. Energy Tribunal looks after dispute arising from decisions made by the Energy Regulatory Commission. The Geothermal Development Company (GDC) incorporated in 2008, is a Government Special Purpose Vehicle (SPV) entrusted with a variety of tasks that include surface exploration of geothermal fields, undertake exploratory, appraisal and production drilling, develop and manage proven steam fields and enter into steam sales or joint development agreements with investors in the geothermal sector. Besides electric power, Olkaria has an exclusive well that is used for greenhouse cultivation of roses at Oserian that generates a large foreign component.. Although this well cn generate 6 MWe it is being used for cultivating the roses that fetches huge foreign exchange. In the coming decade Kenya is going to be the leader in geothermal among the eastern African countries and will become a role model in CDM development and becoming energy independent country.